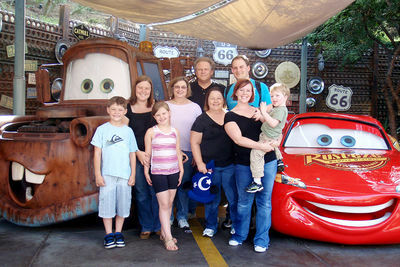 As the West Coast editor for MousePlanet.com, I am the go-to person for family and friends planning visits to the Disneyland Resort. When they ask me how to make the most of their trip, these are the top tips I pass along. Available on both the Apple App Store and Google Play, download and install the mobile application as soon as you know you're going, begin you start planning your trip. Not only dpes the app help you with many of the suggestions listed here, but it becomes a real-time, interactive guide during your visit. Disneyland must-haves include sunscreen, sunglasses, a hat, refillable water bottle (no glass), comfortable shoes, a light jacket for evening, power bank (a rechargeable battery for your electronic devices), and cords/cables for cell phone. Lockers are available inside both parks to store your gear while you visit. With your park admission tickets in hand, you can skip the line at the ticket booth and head right into the parks. Buy tickets and annual passports right from the Disneyland mobile app, from the Disneyland.com website, or from authorized ticket sellers. MaxPass allows users to select, modify and use FASTPASS right from the Disneyland mobile app. Photo by Adrienne Vincent-Phoenix. Add MaxPass to your tickets to make and modify Fastpass selections via the Disneyland mobile app. With MaxPass, you can book a Fastpass for Splash Mountain without ever stepping foot into Critter Country, or select a Fastpass for the Matterhorn Bobsleds in Disneyland while waiting in line to ride Soarin' Around the World in Disney California Adventure park. You can even manage Fastpass selections for your entire party. 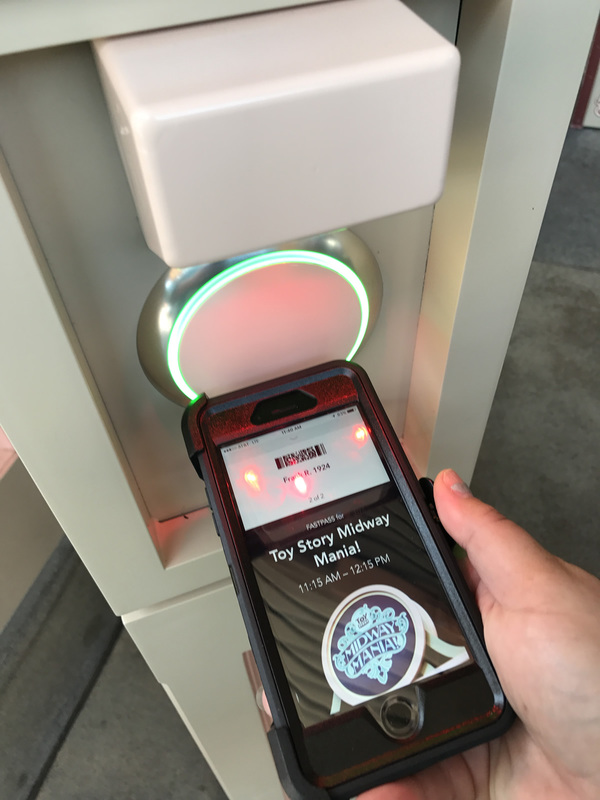 MaxPass also includes unlimited downloads of PhotoPass photos taken each day you use it, including on-ride photos and meet-and-greet visits with Disney characters (which you can find via the Disneyland mobile app). Be sure to seek out PhotoPass photographers, and take full advantage of the opportunity by getting everyone in the picture. Take full advantage of PhotoPass to get everyone in the picture. MousePlanet file photo. The early bird gets the rides, so plan to arrive at the main gate 30 minutes before the parks officially open. Even though you can't go on any rides until the parks are officially open, you are allowed into the parks, so you can browse the shops of Disneyland’s Main Street or Buena Vista Street in Disney California Adventure, pore over the park maps, or just enjoy your first cup of coffee at Starbucks. Then when the ropes drop, head right to your first attraction of the day. It’s amazing how much you can do in the first two hours while other visitors are sleeping in. When it comes to dining, the Disneyland mobile app is great for both those who like to plan every element of their vacation, as well as those who prefer to wing it. Use the app to make dining reservations up to 60 days in advance at the most popular spots, like Disneyland’s Blue Bayou or the hot new Lamplight Lounge at Disney California Adventure. When the urge for a Bengal Beef Skewer or an Oswald Sundae strikes between rides, use the new mobile ordering feature to skip the line at participating restaurants. 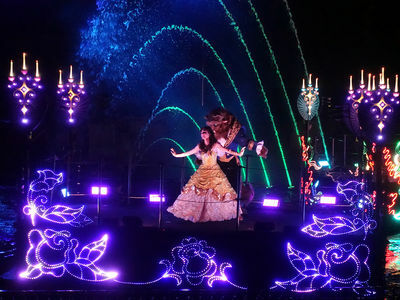 Wait for the second performance of nighttime shows, and you'll enjoy smaller crowds and a better view. Photo by Adrienne Vincent-Phoenix. Catch the second performance of nighttime parades and spectaculars. The second performances are always less crowded, so plan to stay for those if you can. (Be sure to get a FASTPASS for Fantasmic to snag a spot in the reserved viewing area) As a bonus, while everyone else is waiting for the first show, you can take advantage of lighter crowds in the rest of the park to revisit some favorite rides.